Like most things in life, there is no one right way to get over a relationship that has ended. So if you have had a recent breakup, go ahead and get back out there like Blake and Gwen. Or feel free to treat yourself to some ice cream, rom com's and alone time. Either way will lead you to a better understanding of yourself. I love love, so when I heard that Blake Shelton and Gwen Stefani had gotten together, I was happy for them. Love is rare, so I celebrate it wherever it comes from. Blake and Gwen also reminded me of times in my life when I've been on the rebound. Opposites attract, especially in a rebound situation. I have gone from dating one type of guy to dating his total opposite, so Gwen and Blake's country boy/rocker girl mutual attraction makes total sense to me. Science is on Team Gwen and Blake. Psychology Today found that when a person loses a connection, either through a breakup or a loss, finding love again is the key to healing. The emotions of newfound love help ease the pain of a relationship that ended. Focusing on someone new helps us move on from a relationship that is over. The Journal of Social and Personal Relationships agrees, citing a small study that found people who rebounded quickly reported higher self esteem, higher self confidence and found it easier to get over their ex. So, Blake and Gwen are not only enjoying newfound love, they are healing from their previous relationships. These studies actually surprised me. I always thought that we need time and space to be alone in between relationships. I think it is important after a breakup to lie alone in bed and be OK with it. I have sometimes felt that we move on to the next person quickly partially out of fear of being alone. But these studies made me realize that we do not necessarily need to be alone to learn about ourselves. 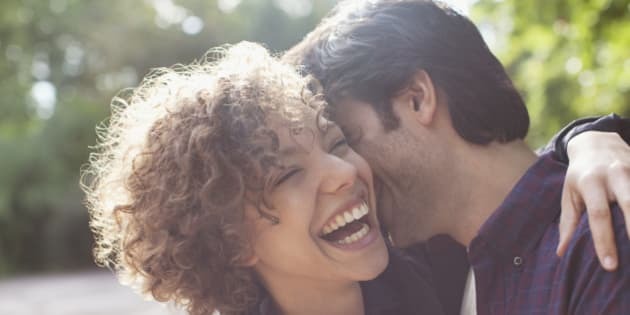 We can learn a lot about who we are from creating a meaningful connection with another person. Take Gwen and Blake. I think it's great for a rocker like Gwen to expand her musical taste to country. And Blake will get a bit of edge from Gwen. They will both learn something. Will it last forever? Maybe. Maybe not. But is lasting forever the only measure of relationship success? I think it is a success whenever we make a connection with another person, and we use that connection to learn about ourselves and heal. Ratings for The Voice are going strong. Maybe that makes the Blake/Gwen pairing a clever PR move. But that does not mean that Gwen and Blake do not have genuine feelings for each other. Like I said on ET Canada, you can see it in their eyes, there is no doubt there is real affection there! The great thing about celebrity rebounds is that not only will Gwen and Blake learn about themselves, they will teach us. 1. Jennifer Lopez and Casper Smart: These two are inspiring in that they seem to have fun together, and they really do not care what anyone thinks. 2. Jennifer Aniston and Vince Vaughn: Sometimes, after a terrible breakup we just need someone who makes us laugh. 3. Leonardo DiCaprio and Blake Lively: Back in 2011 when Leo had just broken up with Bar Rafaeli, he and Blake had a whirlwind romance. This relationship burned bright but fizzled quickly. What can we learn? We can learn not to rebound with Leonardo DiCaprio, no matter how much you loved Romeo + Juliet, the Baz Luhrman movie. It will end tragically, like Romeo and Juliet, the Shakespeare play. 4. John Mayer and Jessica Simpson: If someone has a big mouth about his exes, do not think that you will be the exception to that rule. Try and rebound with someone discreet and respectful. 5. Jesse James and Kat von D: Cheaters gonna cheat. Side lesson: do not get a tattoo honouring your rebound relationship. 6. Denise Richards and Richie Sambora: Do not date your friend's ex-husband. Just don't do it! 7. Drake and Rihanna: Even if it doesn't work out, you can still make beautiful music together. 8. Mila Kunis and Ashton Kutcher: Just months after Demi Moore filed for divorce from Ashton Kutcher and Mila Kunis ended an 11-year relationship with Macauley Culkin, Jackie and Kelso made it official. Kutcher and Kunis seem to be going strong, married and raising their daughter Wyatt Isabelle. What can we learn? Sometimes the right one has been right in front of you the whole time. Like most things in life, there is no one right way to get over a relationship that has ended. So if you have had a recent breakup, go ahead and get back out there like Blake and Gwen. Or feel free to treat yourself to some ice cream, rom com's and alone time. Either way will lead you to a better understanding of yourself, and help you be a better partner when love comes your way again. Have you had a rebound relationship? What did you learn? Tweet me @NatashaNKPR or comment below!